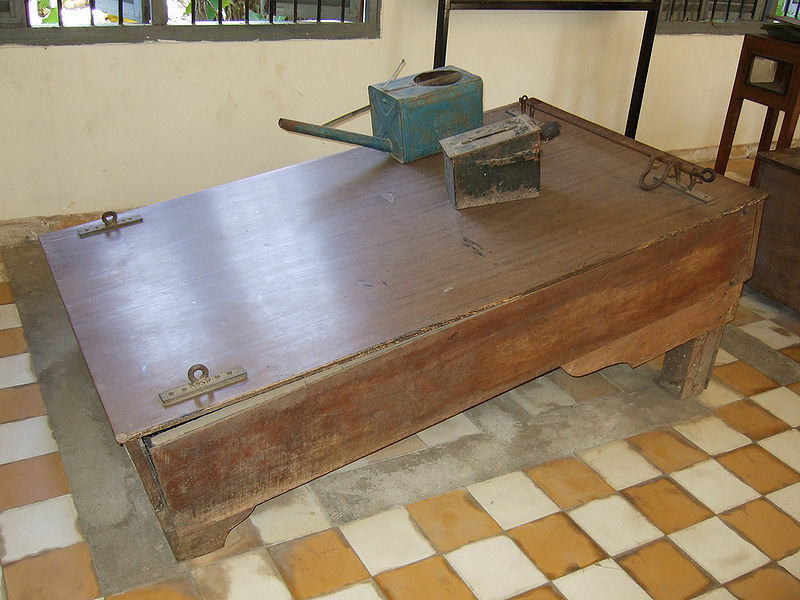 A waterboarding table. The victim's head goes down so that they experience a sense of drowning. The Pew Forum offers a very disturbing view of regular church attenders with their latest report on torture opinions. We might all be better off staying home on Sunday mornings if this is the best we can do. Let me repeat this finding: 54% of weekly church attenders said that the use of torture is okay when used to gain important information from terrorists. This position, of course, would be a violation of international law, the law of the United States of America, and the U.S. Military Field Manual, not to mention the law of love — love God, love your neighbor. But, it only gets worse. Only 42% of those who “seldom” or “never” attend church believe that torture is justified “often” or “sometimes.” In other words, the non-church folks have a better, more humane ethic than church-goers. In other words, non-church folks have a better, more humane ethic than church-goers. Of course, the response we would hear is one I have heard, “But in the real world, that’s not possible.” And that, my friends, is what the incarnation of Christ is all about. To show that this Kingdom of God stuff does indeed work in the real world. May God have mercy on our souls for not being clear that we are following the Lord of Love, the Creator of the Universe, and not expedient political policy. 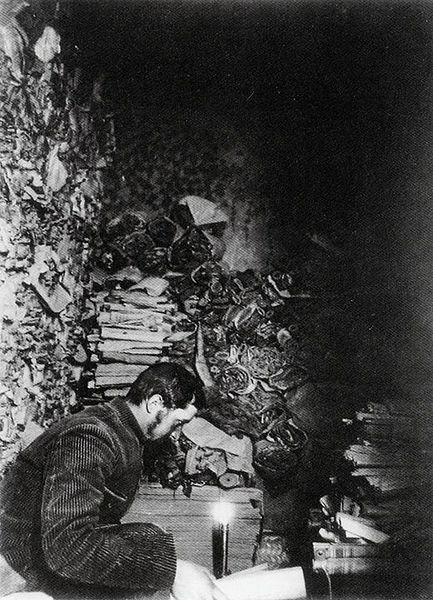 Paul Pelliott, French sinologist, spent weeks reading through ancient manuscripts in the Library Cave in Dunhuang. Contextualization is the buzzword in missional thinking today, but it’s not a new concept. In 635 AD, Christianity followed the Silk Road and entered China’s capital city of Chang’an, now known as Xian. Aleben, a bishop from Persia, led a contingent of two dozen monks on a 3,000 mile journey into the heart of China. The emperor of China, Taizong, welcomed Aleben and his monks, and the sacred scriptures Aleben carried. The texts the emperor had translated into Chinese spoke of a “Luminous Religion” and of a savior who would free mankind. The emperor embraced this new religion, commanded that monasteries and churches be built, and encouraged all under his reign to adopt this new faith. A 12-foot-high stele — an engraved stone tablet — was erected to commemorate the coming of the “Teaching of Light” to the Middle Kingdom. Unfortunately, subsequent emperors would purge China of all outside influence, including religion, in about 200 years, so the new beginning of Christianity in China was snuffed out. Or so it seemed at the time. In the late 1890s, another monk, a Taoist named Wang Yuanlu, found the ruins of a Buddhist monastery at Dunhuang, about 1,000-miles west of Xian. Among the carved out caves where monks had lived, Wang discovered a Library Cave with thousands of manuscripts and manuscript fragments. Eventually, Wang sold manuscripts to European explorers, who discovered writings that came to be called The Jesus Sutras. Sutra is a Buddhist term for a teaching or saying, and some of these were undoubtedly sayings preserved from the work of Aleben and his band of Christian monks in the 7th century AD. Selected sutras are contained in The Lost Sutras of Jesus, and have fascinating parallels to the New Testament. These sayings, and others like them, may be the most original example of contextualization of the Gospel in the ancient church. If not the oldest example, it is among the more fascinating. Not all the Christian sutras reflect 21st century orthodoxy, but they at least provide an enlightening window into a world that was pre-scientific, but intellectually active. Taizong’s library was reported to contain 200,000 volumes, and this before the invention of the printing press, at least in Europe. For more information on China’s equivalent of the Dead Sea Scrolls, google Dunhuang, Nestorian scrolls, Nestorian Christianity, or Nestorian stele. I discovered this amazing bit of history reading The Lost History of Christianity by Phillip Jenkins. I would highly recommend both books if you’re interested in Christian history. I’ll review Jenkins’ book later, but both of these books will give you a new appreciation for the multiple forms the Christian message and Christian churches have taken in the past two millenia. I will no longer review free books on this blog. If I review a book, you know that I paid for it myself. It’s not that I don’t like free books, or don’t appreciate publicists and authors sending me free books, because I do on both counts. But, I have noticed that my gratitude for getting a freebie seeps into my review. I say all the positive stuff and just overlook the stuff with which I take issue. b) this is good and helpful stuff for me and my readers. If a book meets the “good and helpful” test, then I have reviewed it, and I hope those reviews were both good and helpful. I have never given a positive review for a book I thought had real problems; and, I have never fudged on a review to say something that I did not think was true. I just left out the stuff that I took issue with. Which is not fair, good or helpful. So, in the words of Bob Newhart, “Just stop it!” — which I have done. Send me the book summary via email along with your pitch as to why this fits my readership. I will consider reviewing the book if the subject matter fits the editorial guidelines here (there are some, read below), and if the book is a resource useful to my small church community of readers and contributors. I don’t do Bible studies, devotionals, scripture exegesis, doctrinal discussions, or other stuff that is found on sites that do all of that stuff better than I could. The closest I come to a Bible study or scripture interpretation is posting my sermons each week. I do that because other small church pastors preach each week, too, just like I do. I do offer practical insight into small church ministry, so if the book or resource fits that criteria, I stand a pretty good chance of buying it and reviewing it. Practical insight for ministry in a small church is a larger category than you might think, so don’t be discouraged. If I decide to review a book or resource, I’ll let the publicist/author know of my decision, and when the review will run. No advance peeks at the review, no approvals, nothing but notice of run date. I’ll buy the book myself (I buy lots of books — Amazon loves me! ), so this is not as big an obstacle to getting reviewed as you might think. That’s it — simple, straight-forward and clear, I hope. What do you think? Let me know if you think I’m nuts to turn down free books, or if you like the new policy. Thanks. Paul Simon writes great lyrics, and Slip, Slidin’ Away is one of my favorites. Which brings me to the Pew Forum report on Faith in Flux: Changes in Religious Affiliation in the US. “What does Paul Simon have to do with religious affiliation,” you ask? Well, Slip, Slidin Away could be the new theme song for America’s religious habits. The Pew Forum identified 5 reasons the unaffiliated left church. Number One on the hit parade was: Just drifted away. Which isn’t exactly Slip, Slidin’ Away, but pretty close. An average of 71% of all unaffiliated respondents said they “just drifted away” from the faith. Former Catholics hit the average with exactly 71% of them saying they drifted away; former mainline denominations did somewhat better with only 65% saying they just drifted away. But the prize goes to former evangelicals (yes, folks like us). A whopping 74% of previous pewsitters said they “just drifted away” from their evangelical faith. Of course, there is a lot more to the report than this one statistic, and I’d encourage you to read the whole thing. You can even download a pdf to send along to others who might be interested. But, my interest is this — What is happening to these folks? Church attendance is plummeting, and now apparently part of the reason is that former members are drifting away. How does that happen? Does it begin by missing first one Sunday service, then another, and another. And, if no one notices, then they think no one cares. Are we doing a really poor job of keeping up with each other in our churches. We might add a new “allelon” to the batch of biblical “one anothers:” Keep up with one another. Art imitates life once again. Thanks, Paul. 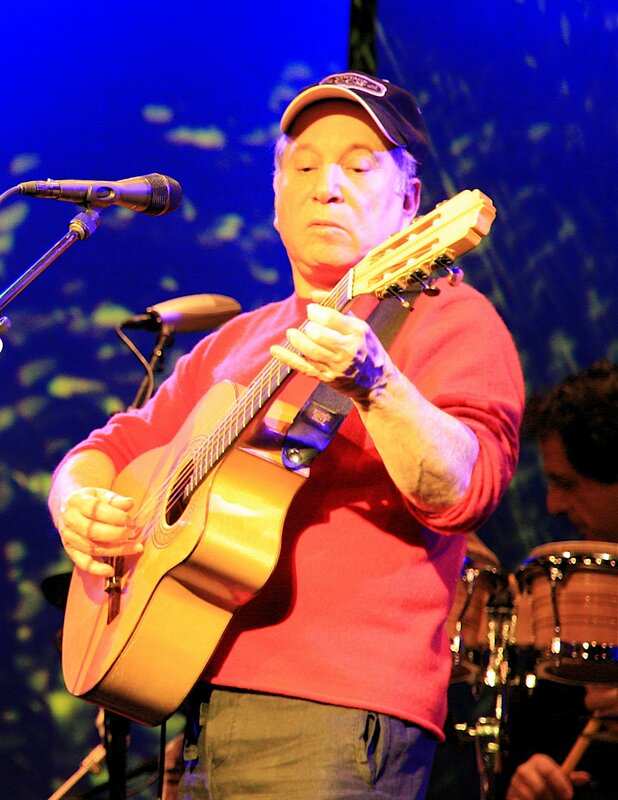 Watch the video of Paul Simon performing our new theme song. The accusation of sheep-stealing has been made by pastors for as long as there have been at least two pastors in existence. And, the standard reply from the accused to accuser is, “If you were feeding your sheep, I couldn’t steal ’em!” But, that silly exchange raises the serious question of ministerial ethics. Is anyone “fair game” in the business of attracting new members? Do pastors have any ethical boundaries when dealing with another church’s members? And, what would a code of pastoral ethics look like, if there was one? Situation One: I received a request to visit an elderly couple who are members of another church in our town. The request came from a family member. The mother was hospitalized, and the father was in ill-health. The couple had been members of our church over 30 years ago, but a disagreement within our congregation led them to join another church. I assured the caller that I would be happy to visit this couple. After our conversation ended, I phoned my fellow pastor at the couple’s current church to alert him to the request, and tell him I had agreed to visit with this elderly couple. He thanked me for my “collegiality” and appreciated my taking time to give him a heads up on the couple’s situation. Situation Two: Last year a leader of my church informed me that a fellow pastor (not the same one) had visited one of our members in the rehabilitation center where my member was a patient. “You’ve got some competition,” this church leader told me. Needless to say, I felt defensive and a little annoyed that my several visits to this person had gone unreported, while one visit from a neighboring pastor had been. I am sure this pastor would have been deeply embarassed to know their well-intentioned visit caused me distress. Situation Three: Another local church “honored” one of our members a couple of years ago during a special Sunday morning service. Several of our church families attended the other church to support our member who was “honored” that day. The honoree is a respected member of the community, but with no ties to the church who “honored” him. But, this church promoted the day as a community-wide event. Our congregation was neither informed of this special event, nor invited to participate. In all three instances, pastors crossed membership lines to minister in ways that seemed harmless, and that benefited the persons who received their ministry. 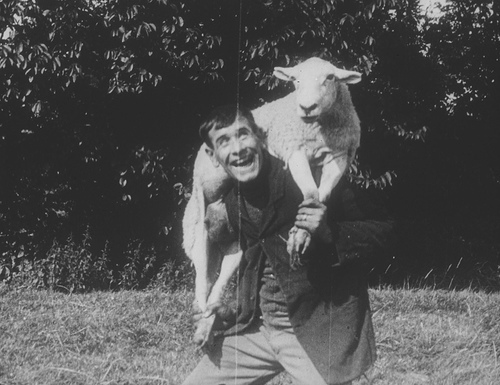 But in all three cases, the potential for misinterpretation and accusations of “sheep stealing” existed. What would your response have been to each situation? Am I overly sensitive, or should ministers practice some ethical behavior when dealing with another church’s members? If so, what guidelines would you suggest as a Ministerial Code of Ethics? Let’s get a conversation going, because I can’t be the only pastor who has experienced this. Thanks. Here’s the sermon I’m preaching tomorrow, Sunday, April 26, 2009. I hope your Sunday is wonderful wherever you gather with God’s people. 12When Peter saw this, he said to them: “Men of Israel, why does this surprise you? Why do you stare at us as if by our own power or godliness we had made this man walk? 13The God of Abraham, Isaac and Jacob, the God of our fathers, has glorified his servant Jesus. You handed him over to be killed, and you disowned him before Pilate, though he had decided to let him go. 14You disowned the Holy and Righteous One and asked that a murderer be released to you. 15You killed the author of life, but God raised him from the dead. We are witnesses of this. 16By faith in the name of Jesus, this man whom you see and know was made strong. It is Jesus’ name and the faith that comes through him that has given this complete healing to him, as you can all see. I really like preaching from the revised common lectionary. In three years of scripture passages you cover all the Bible, and you do so in concert with the Christian year, from Advent to Pentecost to Ordinary Time, and back again. I like the rhythm of readings, I like preaching from texts I would have never chosen, and I like reading the same texts publicly that millions of other Christians are reading on the same Sunday in their churches around the world. But, sometimes the lectionary reading just takes off or ends up right in the middle of something. You need the rest of the story, as the late Paul Harvey used to say, to understand what that particular reading is about. And that brings us to our text today, from Acts 3:12-19. We jump right into the middle of a scene, just like we parachuted in, without knowing what went before it unless we back up to the beginning of Chapter 3, which we are going to do. Here’s the story: Acts 3 is the first chapter after the account of Pentecost, and the effects of Pentecost on the followers of Jesus. Pentecost is, of course, 50-days after Passover, so Jews are still in Jerusalem until Pentecost. Jesus has been crucified, buried, resurrected, and ascended back into heave only 10-days before Pentecost. Still, a week-and-a-half is a long time for nothing to happen — no miracles, no more appearances of Jesus, no heavenly messengers, no angels, nothing. So, we find the disciples hunkered down in a secret location, for fear that the Jewish leaders will do to them what they did to Jesus. Then, Pentecost comes, and the Holy Spirit descends upon the house where the apostles and others are together. The sound of a rushing wind, the visible tongues of fire, the boldness of the Holy Spirit in their speech, and their ability to speak in foreign languages they had not learned drew quite a crowd. Peter used that moment to tie the events of the past month or so together with Old Testament prophecies. Lord — Adonai. A name for God, the most commonly used name for God because the tetragrammaton — the four-lettered name — was unpronounceable and unpronounced. We filled in the consonants with vowels, and it came out Jehovah. But others now think it might be more likely that it was Yahweh. In either event, no one said it. But, Adonai was the name for God, and now Jesus is Adonai. So, Peter was saying that God has made Jesus both Lord and Messiah. The Jews worshipped God and longed for the coming of the Messiah to save Israel. Salvation meant to return Israel to health, freedom, and self-rule. In other words, Peter was telling the Jews on Pentecost that they had missed the biggest event of their own history — God revealing himself in the man called Jesus; and, Jesus as the Promised One, the Anointed One, the Messiah. When Peter gives the invitation, 3,000 repent (turn around in their thinking) and are baptized, becoming followers of Christ. Then, they meet together, these new followers of Jesus, in each others homes, in the Temple, and miraculous signs and wonders are done by the apostles. But, we’re not quite there yet. Peter and John are on their way to the temple one day at one of the three hours of prayer, this one in the afternoon about 3 PM. To get into the Temple, they pass through one of the gates called Beautiful, and there encounter a lame beggar. Luke, who writes Acts and is a physician, gives us the medical detail that this man has been lame since birth. Perhaps in his 20s or 30s, this man is brought to the Temple gate daily so he can beg. He himself cannot enter the Temple because he, not being whole, is not ceremonially clean. So, here’s a man who for his entire life, certainly since he was old enough to talk, has been brought by someone to the Temple entrance to beg. No doubt he was brought by his parents early in his life, and now perhaps by those who take a portion of his earnings and who might provide the lame man a place to stay and food in return. As far as this beggar is concerned, there is absolutely nothing special about this day — his is doing what he always does with no expectation that life will be any different today than it has been for all the years he’s been alive. He is resigned to his fate, the fate of a lame man in the first century where his condition is seen by many as God’s punishment for either his sins or the sins of his parents. Remember, Jesus had that conversation about a blind man one day. So, the lame man, and we do not know his name from the Acts account, holds his beggar’s bowl out toward Peter and John, who look him square in the eye. Again, Luke gives us a detail that might have been overlooked by anyone else. Why is that important? Have you ever passed a beggar or homeless person panhandling? What do you do? Well, if you’re like most people — me included — you do not make eye contact because you do not want to give them anything. Same thing is true for those folks at the street intersections with their signs — “Will work for food.” You don’t want to make eye contact. That’s another sermon for another day, but that’s they way most of us are. There’s nothing we can do or want to do for most in that situation. But, Peter and John look this guy squarely in the eye and say to him, “Look at us!” They are obviously not hiding from this guy. Now remember that the Temple is a huge complex, with thousands of people pushing their way through all of its entrances, especially to get in for daily prayer. So, if the beggar doesn’t really see them, then Peter and John want to be sure they have his attention. With that, Peter reaches down, takes the man by his hand and lifts him to his feet. Have you ever known anyone lame from birth? I have met one or two. Their legs are useless appendages without muscle tone or movement. Usually curled to oneside, or hanging limply as they sit in their wheelchairs. These are not legs that can move, much less support weight, or move even if the person was somehow stood upright. But, that’s the miracle. “Instantly” Luke says, “his feet and ankles became strong.” Another doctor’s note. The man himself “jumps” to his feet and begins to walk. But then he does something he has never done — he walks with Peter and John into the Temple courts. And he doesn’t do it quietly — he jumps, walks, praises God, and generally causes a scene. Those who know the beggar recognize him as the same man, and they were filled with wonder and amazement at what had happened to him. So, finally, with all that background, we arrive at our passage today — Acts 3:12-19. The formerly lame beggar is clinging to Peter and John. His life is totally transformed, and everybody who sees it is amazed. Word spreads and others come running to see what all the fuss is about, and Peter gets a chance to preach his second sermon. And he does. The sermon is a good one. It starts where the people are, explains that this is not the work of Peter and John but of God. But, then Peter really gets going. He says that the God of Abraham, Isaac, and Jacob has glorified his servant Jesus. So the Servant was expected, just as was the Messiah. Peter then lays out his case. Peter says, “We are witnesses.” One supposes Peter means that the followers of Jesus witnessed it all, including the crowd turning on Jesus. Then, after a few more words of explanation, Peter says, “Repent, then and turn to God, so that your sins may be wiped out, that times of refreshing may come from the Lord…” There’s more, but we have to stop there. This is a great story, but what does it all mean? * Well it could mean that given the choice, we prefer the past to the future. “The God of Abraham, Isaac, and Jacob — the God of our fathers” is a reference to the past. This is the God who in the past did great things for us. This is the God who in the past chose great leaders for us. This is the God who in the past had great plans for us. The whole story of Pentecost, the whole story of Jesus’ life and ministry is “behold I am making all things new.” The new has roots in the past, but that which God is doing now has a different shape to it than anything before. And that is why we have a Savior. * It could mean that we still make the wrong choices. They disowned the Holy and Righteous One and asked for Barabbas. Where have we heard this story before? How about the Garden of Eden? Or Noah and the flood? Or the Tower of Babel? Or Israel’s rebellion against God any number of times. We still make the wrong choices out of fear, anger, selfishness, stubbornness, and willfulness. Not much has changed. That’s why we need a Savior. * It could mean that we thought we were in charge, but God really is. “You killed the author of life, but God raised him up.” Even our most willful act, the killing of Jesus, is undone by God who loves us. There is no sin, even the sin of “theocide” if I can make up a word, that is too great for God to make right. * It could mean the invitation to change is still open. We are given the chance to “turn around” or change our mind or repent — whichever way you want to say it the outcome is still the same. We choose God’s future, not our past; we make the right choice for once, not the wrong one; we see God at work and acknowledge his Sovereignty and Love; and we act in faith, given to us by this same Jesus, and turn to God in new and life-giving ways. And that is why we have a Savior. I’m leading the Small Church Idea Forum at the National Outreach Convention 2009 in San Diego, CA on November 4-7, 2009. The NOC09 blog tour is stopping by today to leave some questions in the comment section. Click on the tiny number beside the “quote balloon” to the right of the title of this post to see comments and add your own. I’ll re-post the questions and my answers here for Friday so feedreaders will pick them up. The important thing is for you to start making your plans to attend NOC09, one of the best and most practical conferences you’ll ever attend. Plus, San Diego is always beautiful, and in November it is gorgeous. See you at NOC09 in November! Here’s a montage of last year’s NOC — it really is a great conference!